Lettuce, tomato, green peppers, & shredded cheese. Fresh grilled chicken, lettuce, tomato, green peppers, & shredded cheese. Buffalo-Style shrimp, lettuce, tomato, shredded cheese, & green peppers. 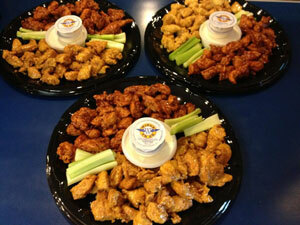 Boneless Wings tossed in your favorite WTG® sauce on a bed of lettuce, tomato, shredded cheese, & green peppers. Fresh chicken breast, bacon, lettuce, tomato, mayo, or choice of WTG sauce. Served with lettuce, tomato, bacon, american cheese and our famous WTG® Honey BBQ sauce. Savory burger with cheddar/jack cheese, grilled onions, jalapenos, WTG Asian Fusion sauce. Fresh grilled chicken, american cheese, grilled onions, and green peppers, served on a sub roll. Grilled Steak, american cheese, grilled onions, and green peppers served on a sub roll. 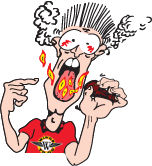 Fresh Tendersm lettuce, tomato, shredded cheese, ranch dressing or choice of WTG® Sauce. Fresh Tenders, lettuce, tomato, WTG® hot sauce, and WTG® blue cheese. Fresh Tenders, bacon, lettuce, tomato, shredded cheese, mayo, or choice of WTG sauce. Fresh Tenders, romaine lettuce, parmesan cheese, and caesar dressing. Buffalo Shrimp, lettuce, tomato, and choice of WTG® sauce. Lettuce, tomato, cucumbers, shredded cheese, corn, black beans, and choice of dressing. Fresh chicken green peppers, fried onions, shredded cheese, jalapenos, sour cream on the side. A tortilla filled with a generous amount of cheese, fresh chicken tenders, tomatoes, WTG® hot sauce and bleu cheese. Folded in half and grilled to perfection. A tortilla filled with a generous amount of cheese, grilled steak, fried onions, green peppers, tomatoes, and ranch dressing, folded in half and grilled to perfection. Served with your choice of Bleu Cheese or Ranch dressing! Celery sticks available for an additional charge. Calorie count does not include sauce, dressing, or celery sticks. Contains Gluten. Calorie count does not include sauce, dressing, or celery sticks. Fresh tenders marinated and lightly breaded. Calorie count does not include sauce. Contains Gluten. Prices subject to change without notice. Calorie count does not include sauce. Contains Gluten. Combos may have day and/or time restrictions at different locations. Please check with your local Wings To Go. Calorie counts on wings and shrimp does not include sauce, dressing, celery sticks and based on a 0 calorie drink. *Combos come with regular size side lines. Cheese Fries or Bacon Cheese Fries available for an additional charge.